Welcome to Monday, which means it’s another day devoted to CTMH! These layouts were all created using various CTMH products; the last layouts was created mixing a couple PML decks of cards. Also, on a completely unrelated note, happy 4th of July to my American friends and readers. Enjoy your holiday! Welcome to another Monday! Just two Mondays left, and school will be out for the summer. We can hardly wait! (And, by we, I mean the twins LOL). I have a couple new projects to share with you, that were created primarily with CTMH products. I hope you enjoy! The products I used are available to purchase directly from my website. I’ll share the link at the end of my post. You’ll see I snuck in the zip strip from the Calypso paper as a decorative element on this page; it pairs nicely with bits of Timberline (retired) paper and Peacock cardstock. You’ll also see a bit of the coordinating Calypso compliments on this spread, too. 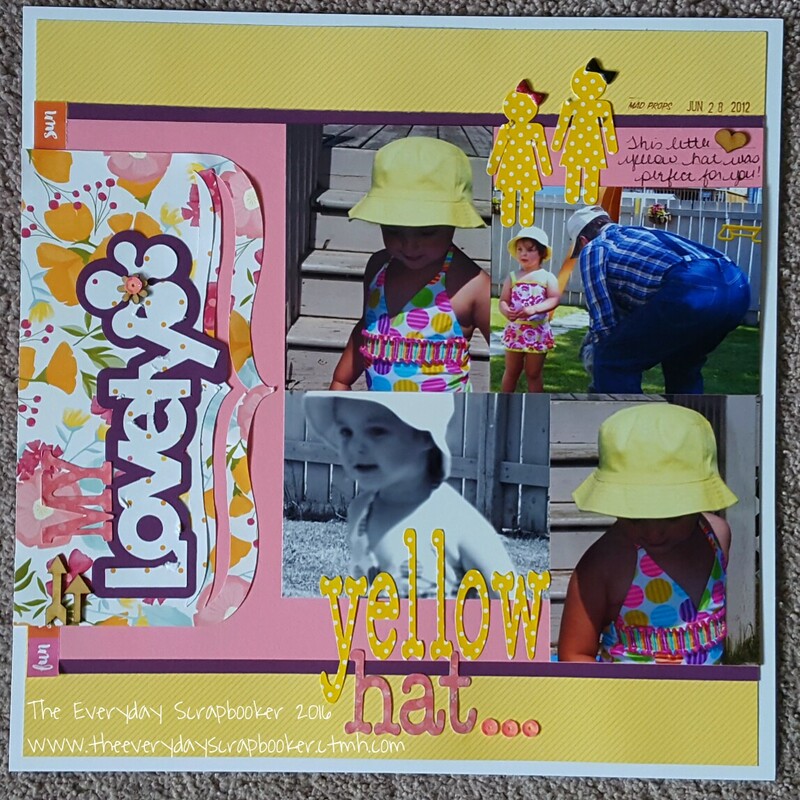 On this layout, I dug into last months’ constant campaign paper- Happy Times- and created this bright and cheerful layout of my daughters’ yellow sun hats. I worked some Eggplant cardstock (as well as Recollections bubblegum pink) cardstock as a nod to the twins- M loves pink, and A loves purple. Again, I used bits of the Calypso zip strip, as well as puffy sticker bows and wood veneer shapes from CTMH. Lastly, I used a sheet of Calypso paper and punched a border around the entire page, before matting it on CTMH patterned paper from a constant campaign from last summer. 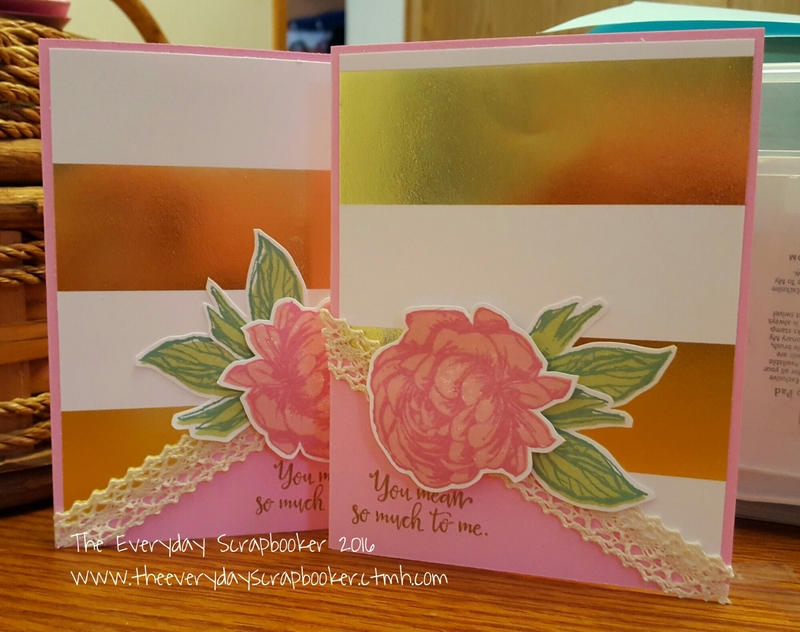 I thought the zip strip from the Blossom paper coordinated well here, and gravitated towards those colors as embellishments. Everything here, except the 3-D butterfly and small you & me sticker is CTMH. 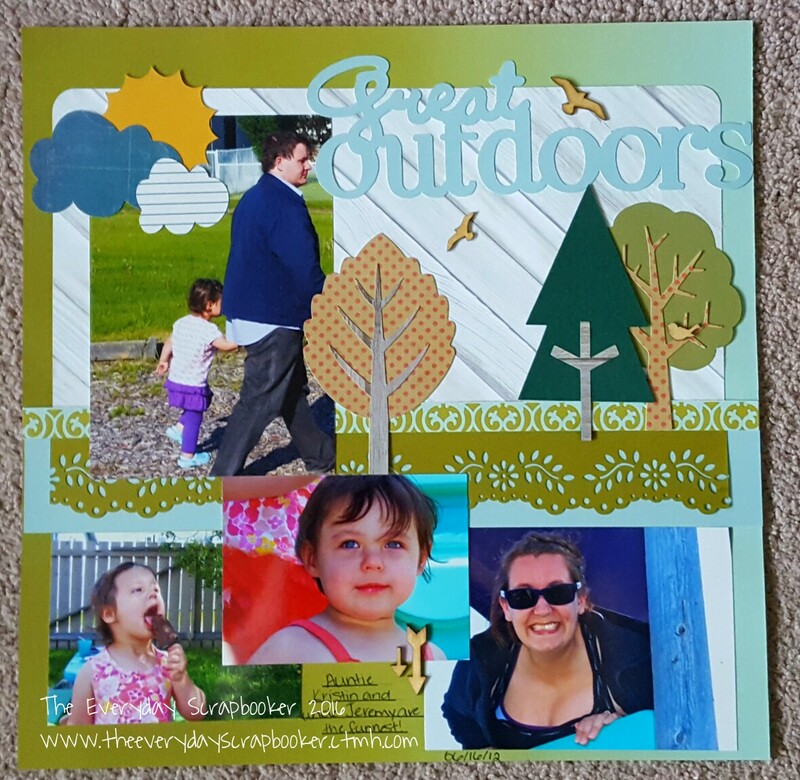 I am also entering this layout into a challenge at Scrapbook Generation. If any of these products tickles your fancy, you’ll be able to find them on my website (unless they’re retired- and I made a note of it). You can visit my website any time, from any place. Click here to start shopping! Available only to Canadians (sorry!) However, if you are outside my geographical area, all is not lost! Search for a consultant near you, and shop from their website! One last, quick note. There are new, different products being added to our weekly flash sale over at CTMH. It ends at 3 this afternoon. Check it out- there’s some fabulous products up for grabs! Visit my website to check out our flash sale grab bags. They’re only available while supplies last. Are you familiar with CTMH? Do you know what this acronym stands for and what it even is? I have been asked in the past, which is why I mention it. 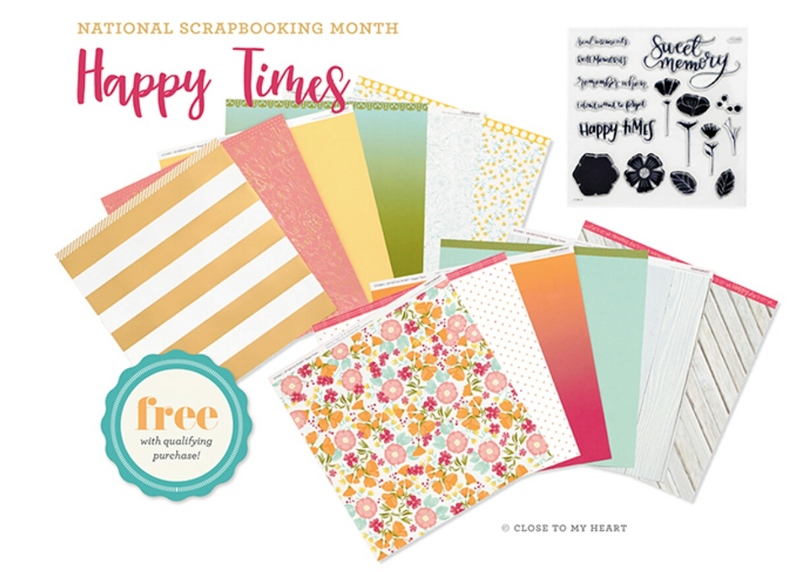 Close to My Heart, or CTMH for short, is a direct sales papercrafting business specializing in stamping and crafting products for over 30 years! That’s a long time! They offer a variety of products, from photo polymer stamps, to paper products, and jewelry products to to party supplies and home decor. There’s lots to choose from! I am an CTMH independent consultant and have had my business for two years. 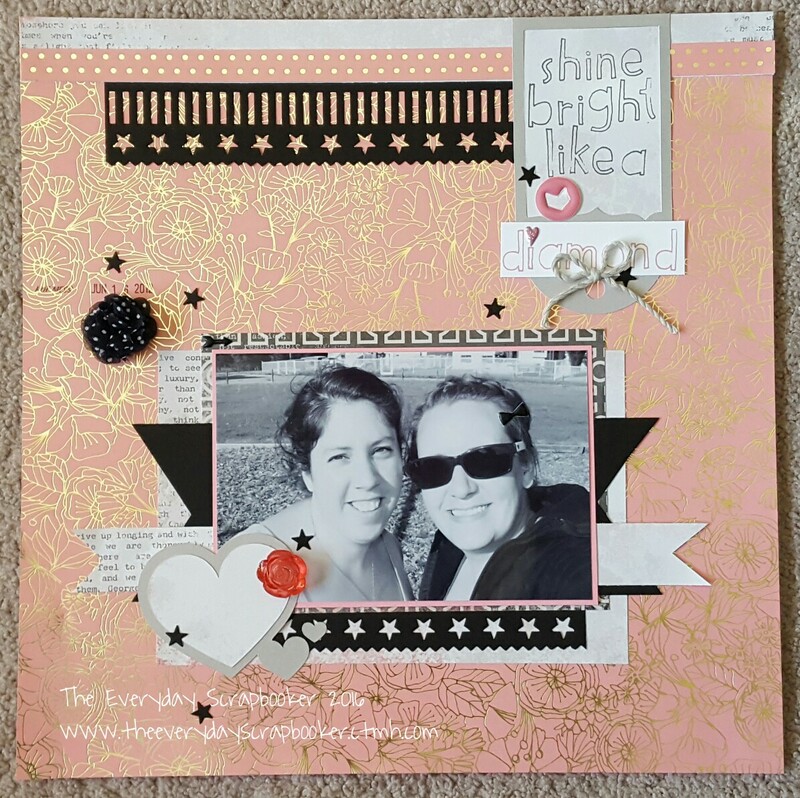 I love scrapbooking (as you well know based on my blog), and I love sharing my passion with others. Now that you’re caught up, I have some CTMH news to share with you! For the month of June ONLY, every weekend (Friday to Monday), there will be a flash sale. New product, retired product, you’ll get a little bit of everything out of each sale- at great prices, too! There’s much more than just this that’s available this weekend. 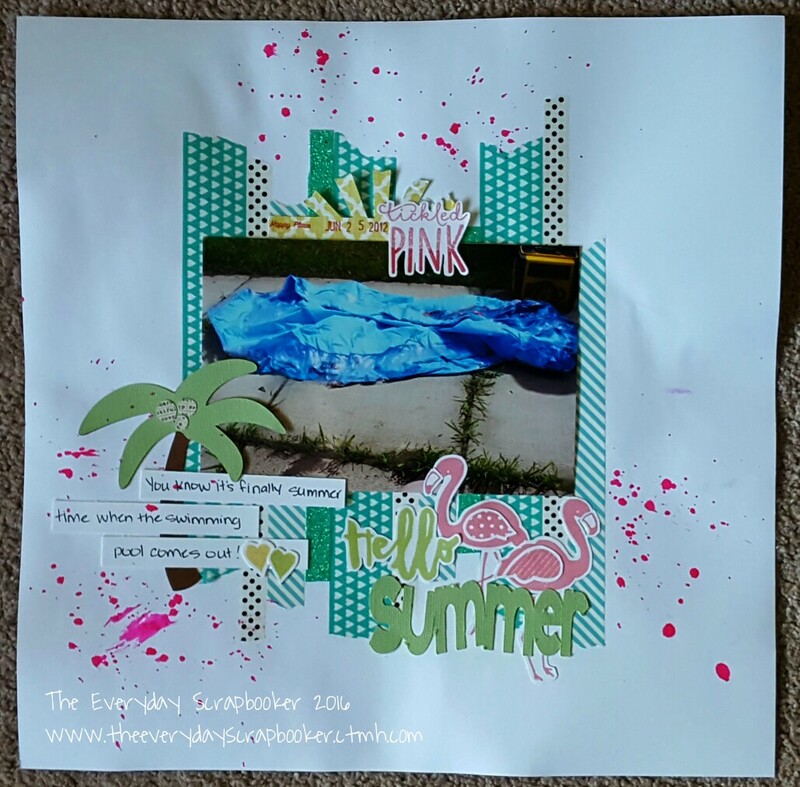 Visit http://www.theeverydayscrapbooker.ctmh.com to check out all the sale items! The coordinating stamp set (and die) is extra. They are super duper cute! I’m dying to order the die set, which will work in most die cutting machines (cuttlebug, big shot, etc). 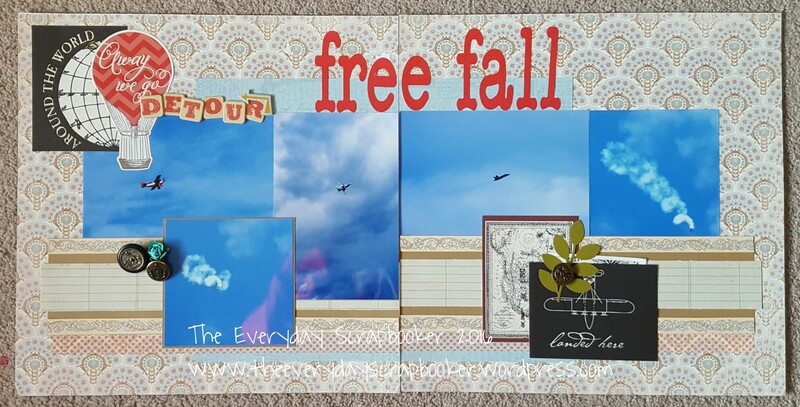 Here’s the first few layouts I made using both these products. I hope they inspire you! 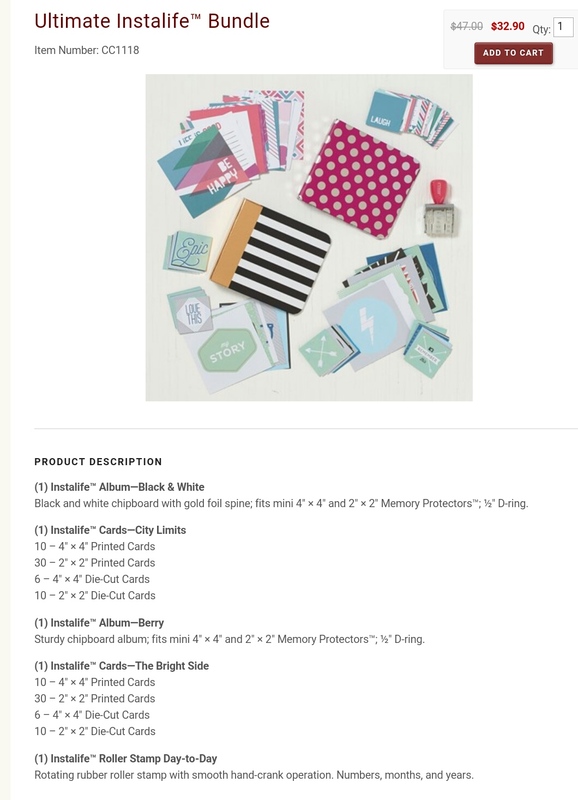 If any of these products interests you, there are a few ways to start an order. 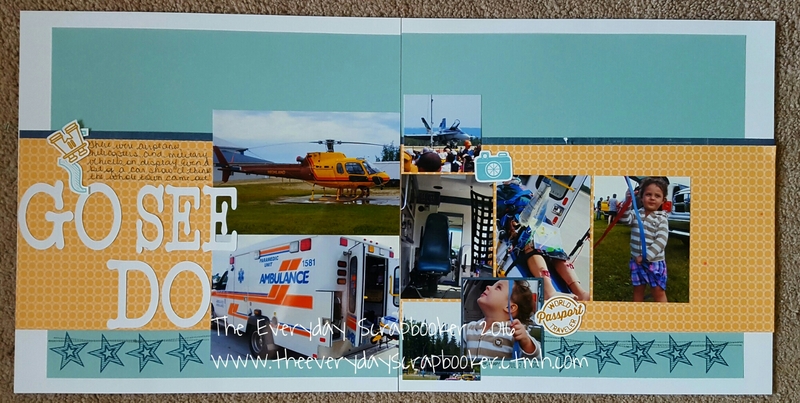 Visit my website at http://www.theeverydayscrapbooker.ctmh.com; you’ll be able to order directly from there. 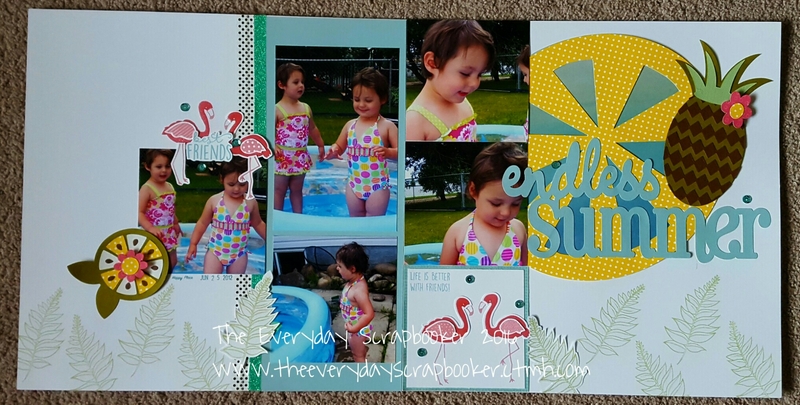 You can email me at theeverydayscrapbooker@gmail.com or leave me a comment below! They’re all very easy, just choose whichever method is most convenient for you. If you’re not Canadian (sorry), you can search for the consultant nearest you from my website. 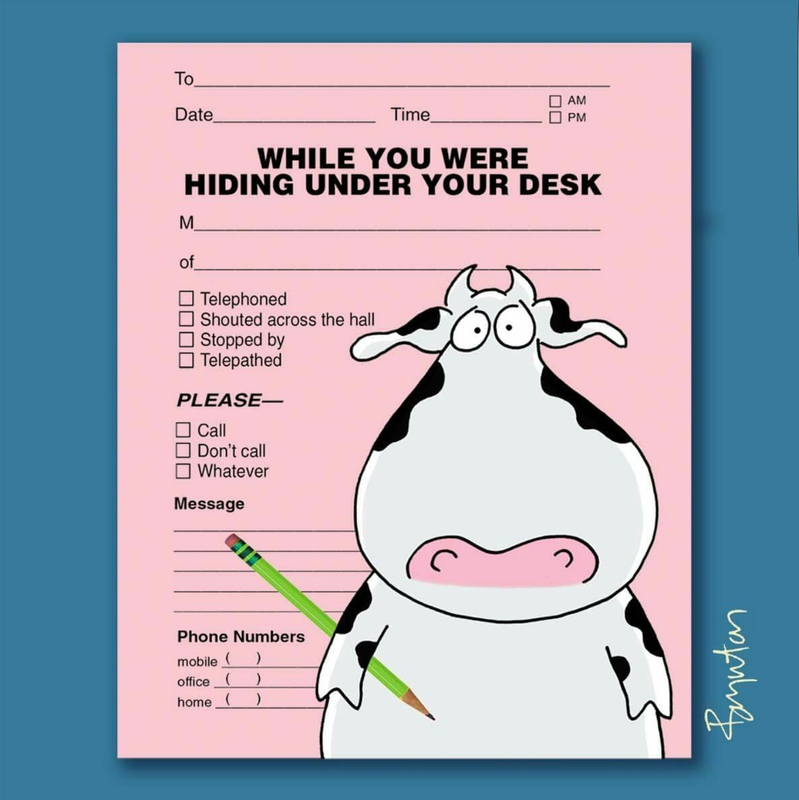 Once you get in touch with them, they’ll take great care of you! 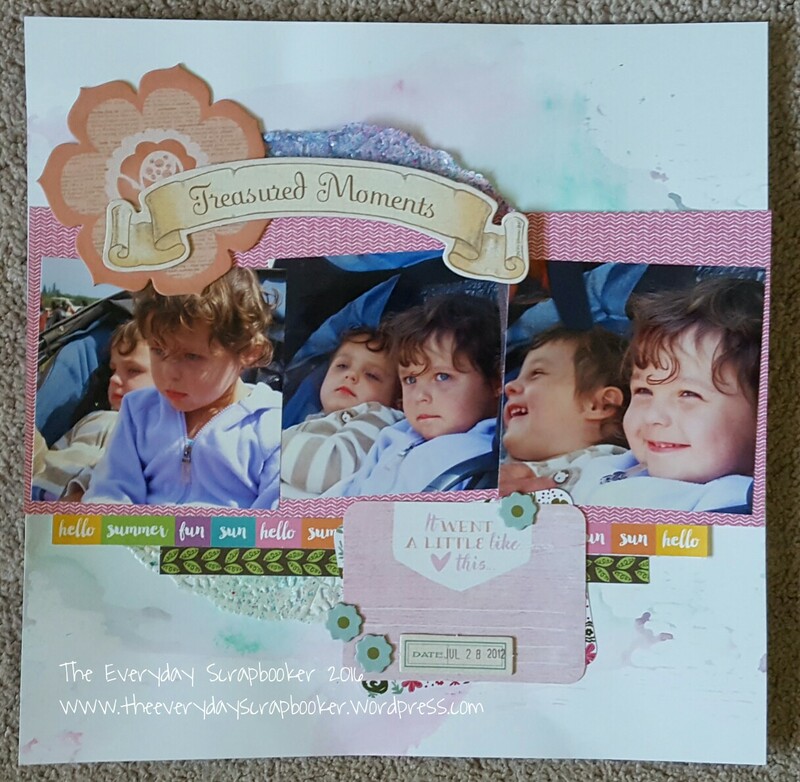 I want to share the last layouts and cards I made using the beautiful Happy Times Paper packet from Close to My Heart. You’ve got very little time left to claim them for yourself, and they’re way too pretty to pass up! 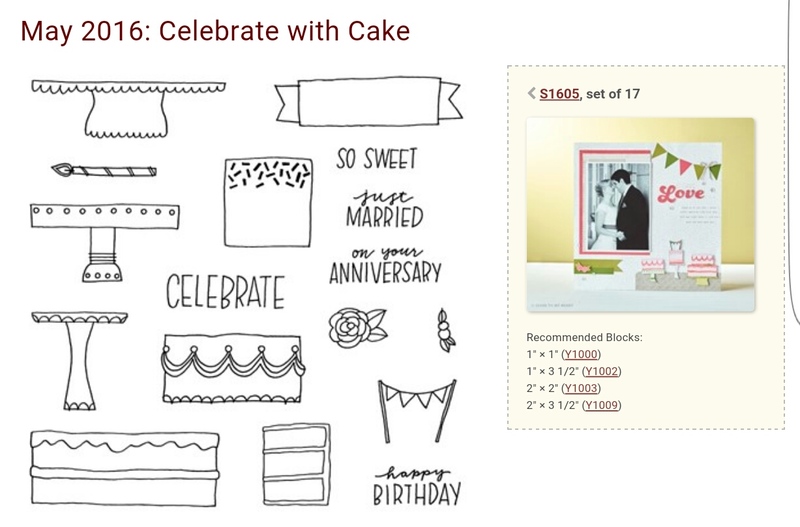 The paper is just $17.75 CAD (there’s 12 sheets of 12×12 patterned paper in the packet). What a great deal! 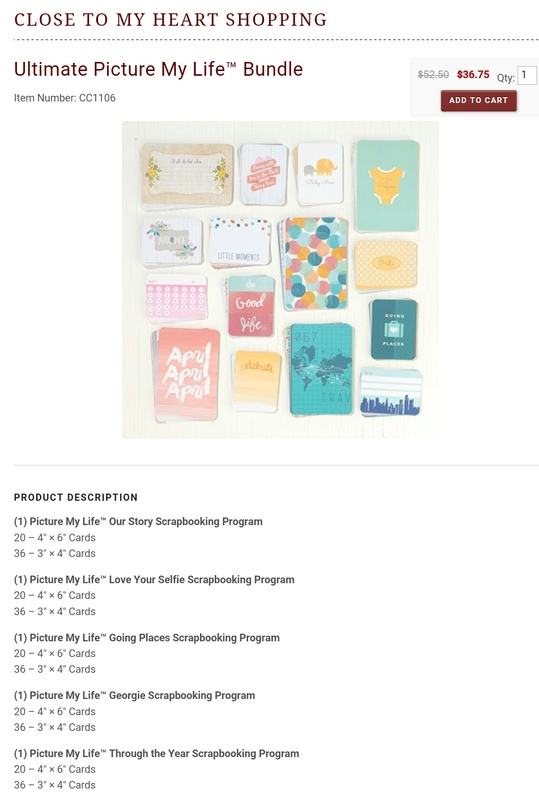 The stamp set could be yours for $21.25 (there’s 18 pieces in the stamp set). But, hold on. I have one more surprise for you. Did you know you can earn the paper packet for FREE? You absolutely can! Hop on over to my website, and browse around. While you’re making your order (online or by contacting me), you’ll receive the paper packet free when you spend $70 CAD. You won’t be disappointed, I promise. There’s ombre paper, wood grain paper (think like old barn board), gold foil…the list goes on. Pretty! Here’s what I made using it, and I’ve still got paper left over! So, that’s 5- FIVE- layouts, and ten cards using this bright, warm summery paper. How many projects could you make with it? Which is your favorite? Let me know below in the comments. If you’re Canadian and want this set, please contact me! If you are located elsewhere, all you need to do is head to the CTMH website and search for a consultant near you! Once May is over, you’ll no longer be able to purchase the beautiful Happy Times Paper packet and coordinating stamp set. To view both these lovely products- and to purchase them- visit my website here. The flowers were stamped with Beloved Bouquet in CTMH Blush and Cotton Candy inks. The leaves were stamped with Sweet Leaf and Juniper inks. 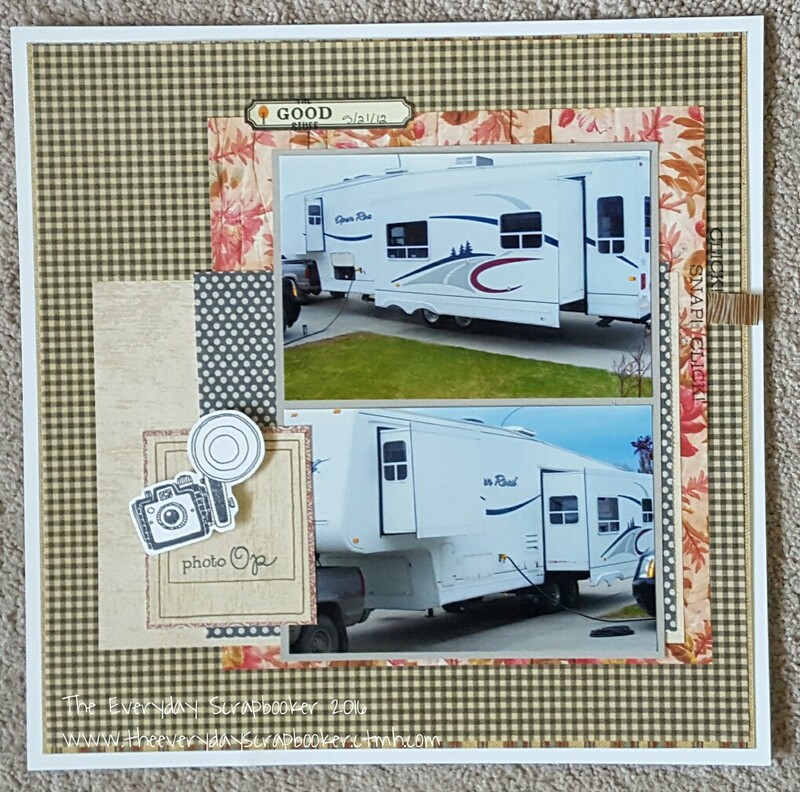 Today, I have a layout to share that features more washi tape. First, I wrapped green washi around all four edges of the white cardstock in the background. Next, I layered gold, white and green washi underneath the photo mat. Two of three washi tapes are CTMH (the gold polka dot and the white with arrows). CTMH carries a variety of washi tapes. Did you know that? 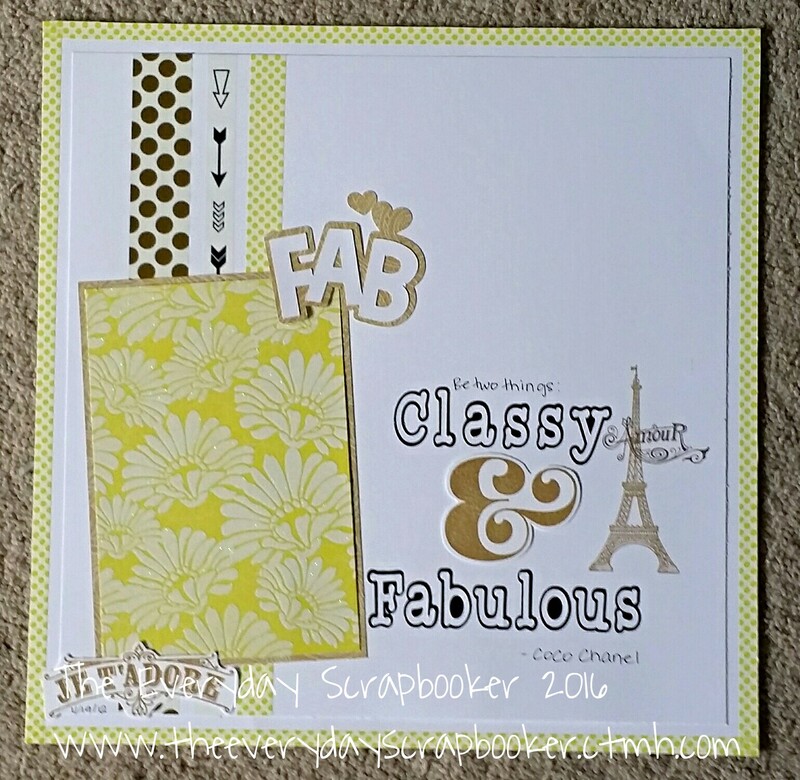 Often, they come along with scrapbook and card making workshops; they’re also available individually! Visit my website to view the stunning and colorful patterns each washi features. We also carry a wide variety of stamps and inks, as well! Find something for every occasion and special event life brings your way. 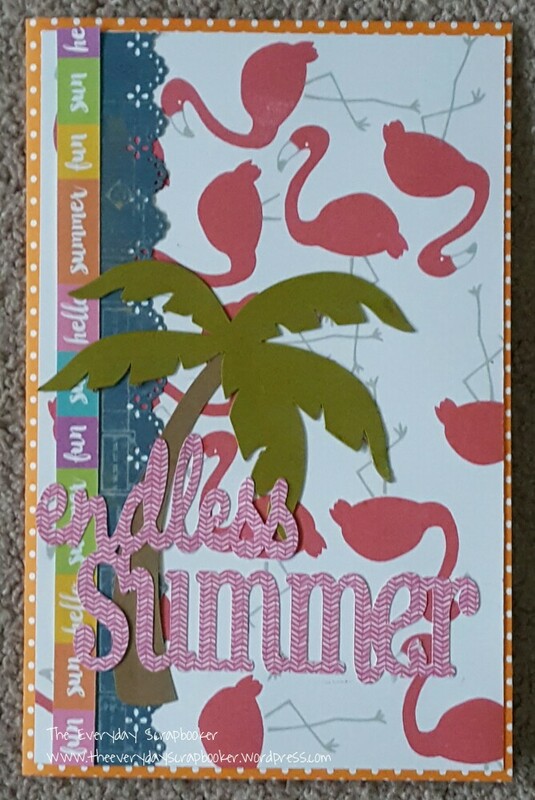 Lastly, I cut the title using the “add text” option on my cricut explore and added the stamped ampersand inbetween the “classy” and “fabulous”. 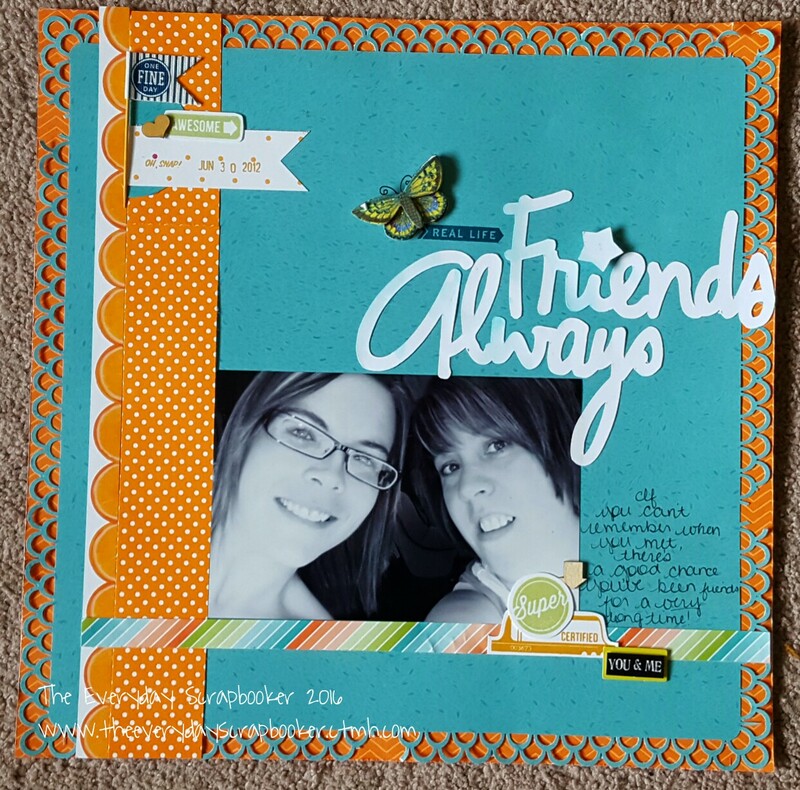 I used CTMH Desert Sand ink for all the stamping. (CTMH Amour). My daughter, the little fashionista she is, had on my sunglasses, making her look very chic and svelte. She looked so darn cute I had to scrapbook it! Thanks for dropping by. I’ll be back again real soon! As it turned out, I made a flying trip into Edmonton on Thursday afternoon. My grandmother had taken a turn for the worst, and we weren’t expecting her to live through the weekend. Happily, she’s still here, but I’m expecting that dreaded phone call any time. I spent the night Thursday and a good portion of Friday with my extended family and Oma (Dutch for grandma), but had to come back home home to look after my other obligations. I’m sad I had to leave, but I’m glad I had the chance to say So Long before it was too late. If I disappear unexpectedly for a few days in the near future, that’ll be why. On a brighter note, I have another layout to share! Once again, I began with a sketch for Scrap Much? by Laura Whitaker. 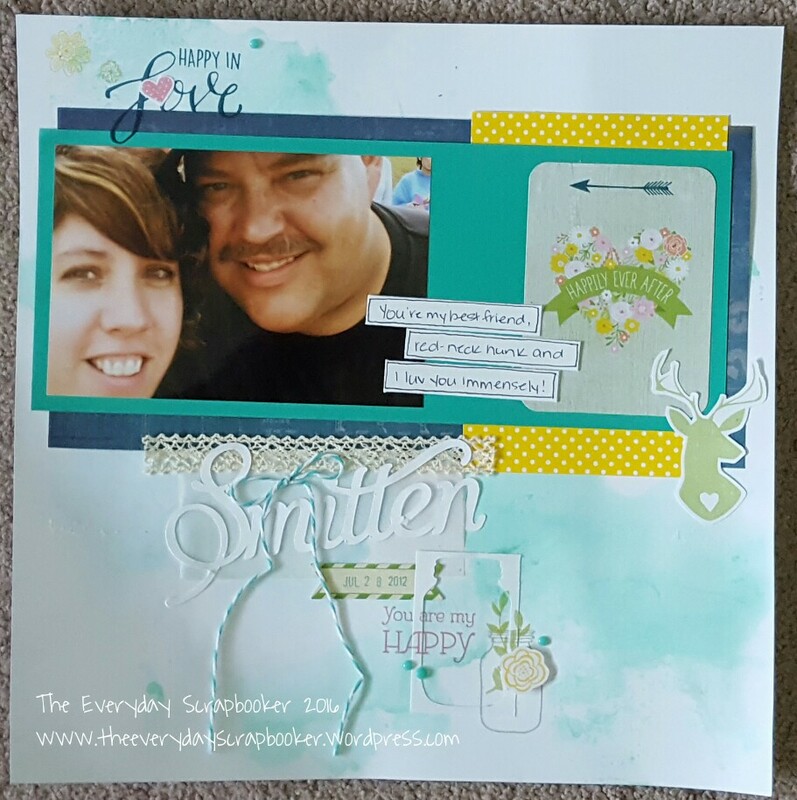 I began this layout by spritzing blue and yellow mists on the layout base, then layered random patterned papers and a large cricut die cut over top. The circles and title were also cut with my cricut. Also, CTMH has a new stamp that’s currently available. It’s only available until March 31, and is eligible for purchase as part of stampaganza! 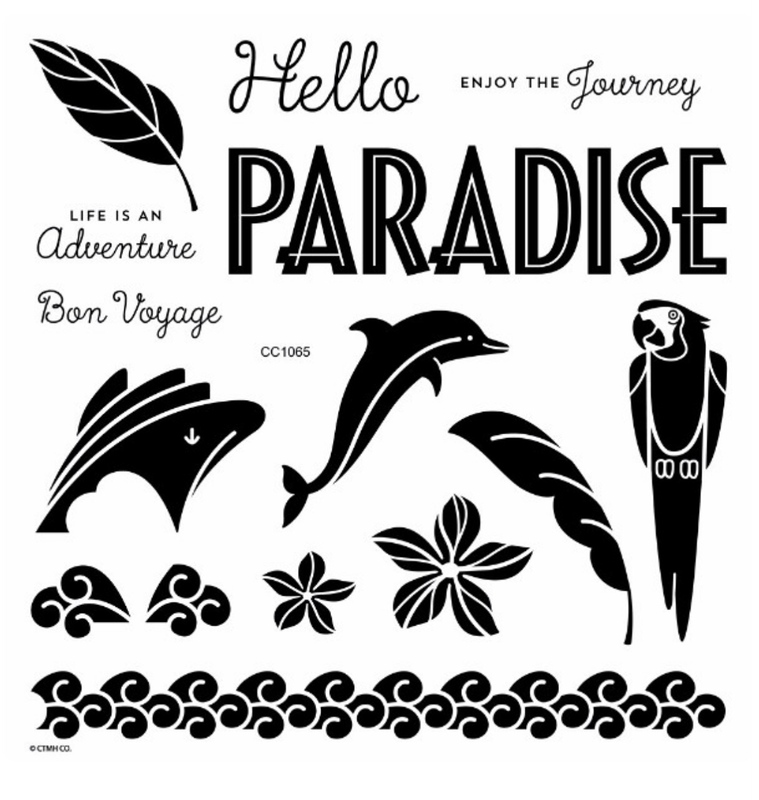 This fun stamp set is $21.25 CAD and perfect for all your exotic vacation photos. Find it- and many more stamps- on my website. View it any time, 7 days a week, 24 hours a day. Thanks for dropping in and spending time with me! See you again real soon! 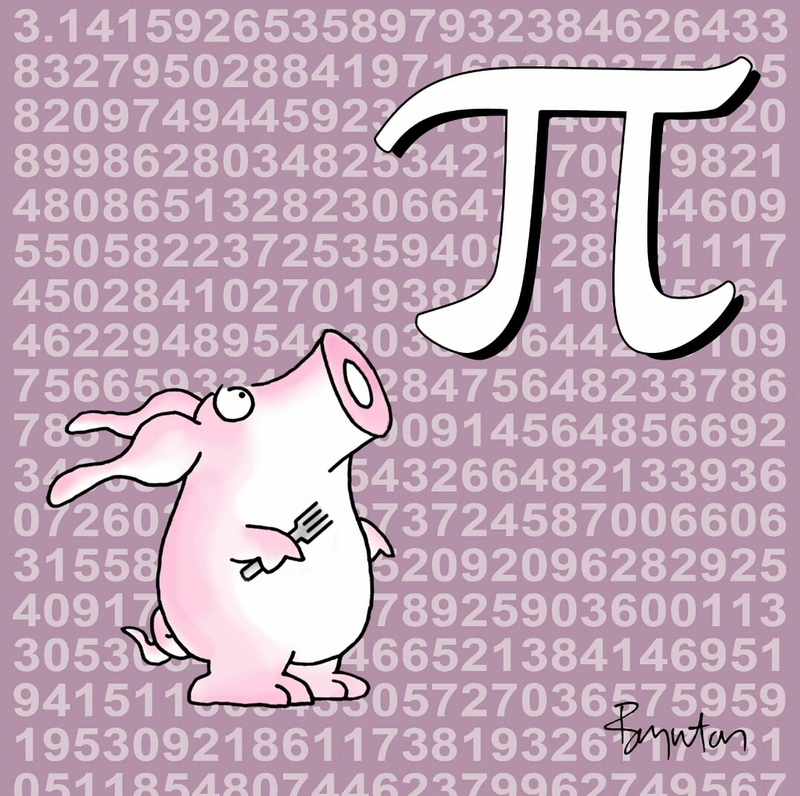 Happy Pi Day, fellow nerds! 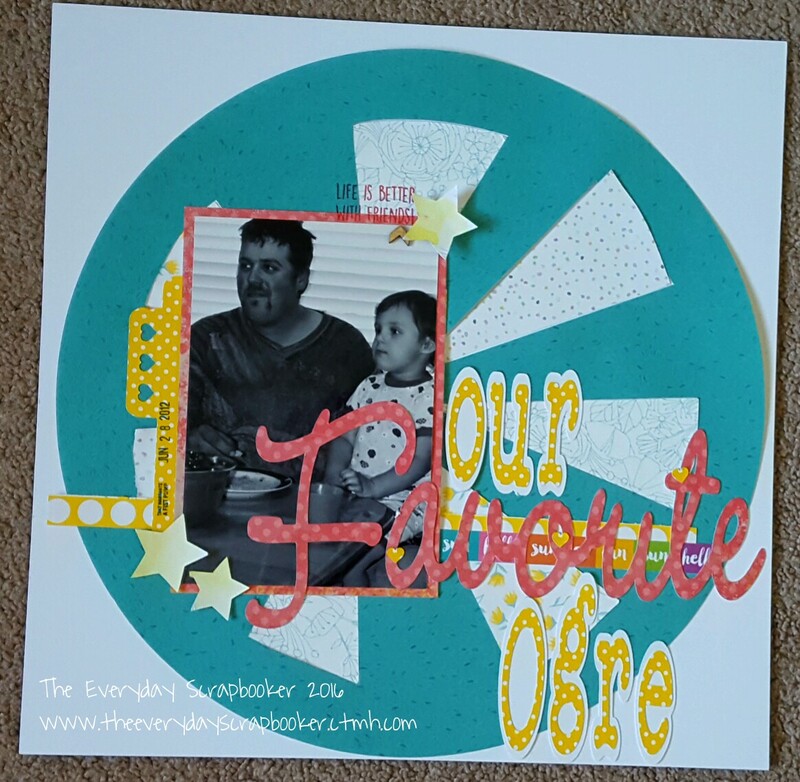 I mentioned in yesterday’s blog post that I’d share the directions for creating the one layer stamped card I made recently. I thought today would be a good time to do that! 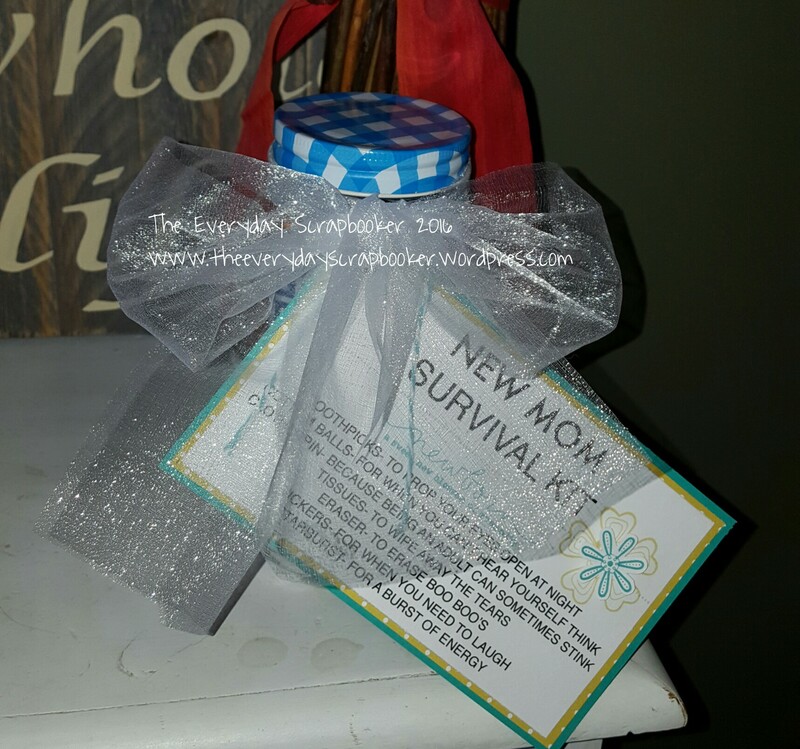 To begin, you’ll need to gather your supplies. That would be: cardstock, ink (4 varying shades, three of which should be light, medium and medium dark)- the last one should be darkest; stamping blocks, stamp and some washi tape. I’ll explain what that’s for in just a moment. 1. 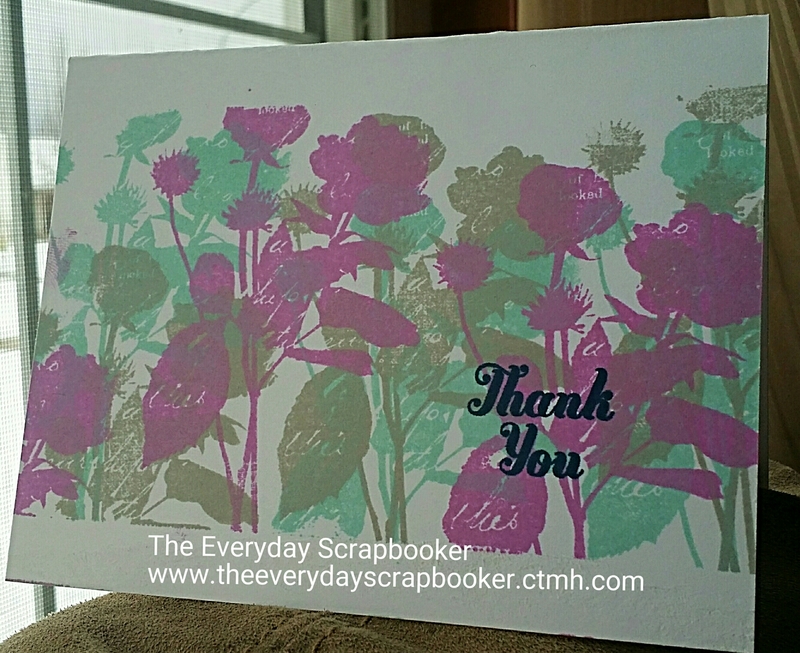 Trim your cardstock to 4.25×5.5 inches. (8.5×11 works perfectly- just trim it in half). Score and fold in half length-wise. Here’s where the washi tape comes in. 2. 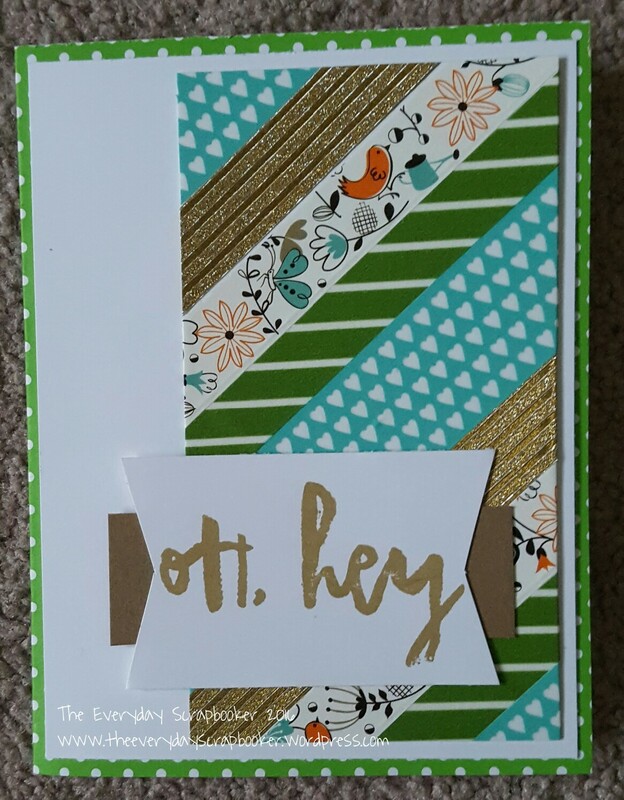 Mask off the top and bottom portion of your greeting card with the washi tape. Make sure it’s long enough on either side of the card to stick to your work surface; it’ll hold your card in place while stamping. 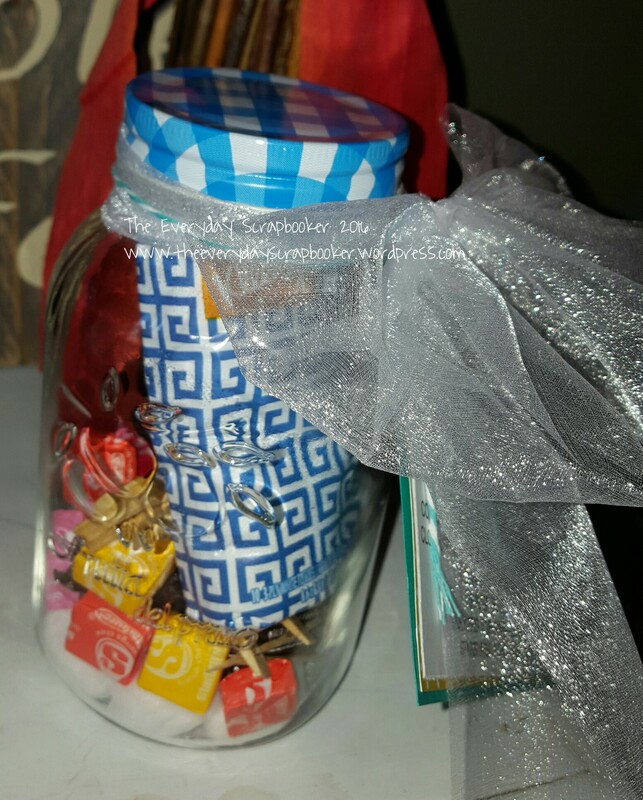 The washi tape works well for this project because it won’t damage your cardstock like traditional tape can do. It’s repositionable and does not attach permanently. 3. 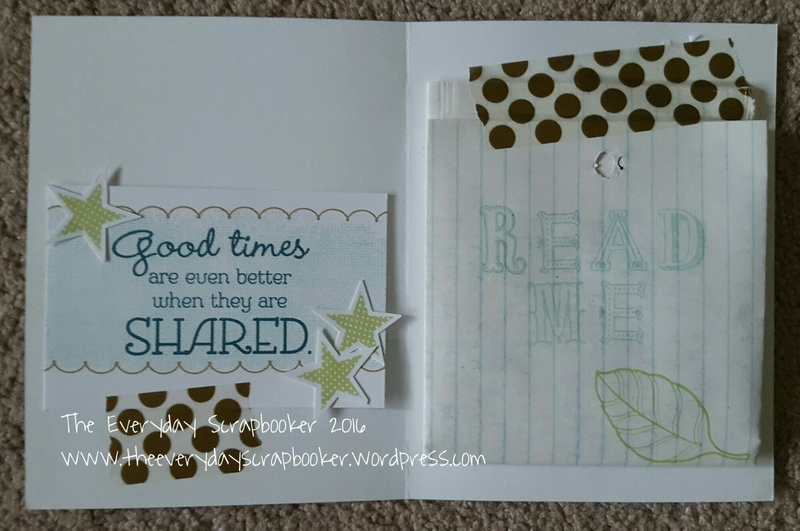 Once your stamp is mounted to your stamping block, ensure your buffer is placed underneath the area you’ll be stamping, then cover the stamp with the lightest ink you chose first. Firmly press onto your cardstock and lift straight up. Repeat, placing the stamp at varying heights until your card is filled. 4. Thoroughly clean your stamp using stamp cleaner. 5. Repeat steps 3 and 4 using the medium and medium dark inks you’ve chosen, cleaning thoroughly between each layer. Remember to alternate the height each time you stamp so you don’t cover up too much of the previous layer. 6. Using your last (and darkest) ink, stamp your message onto the card. 7. Gently and carefully remove the washi tape, then admire your handiwork. If you’re interested in creating this card, and you liked the colors I used to create it, head on over to my website. All the products you need to create this project are available to purchase there, including stamp spray, cleaning pad and stamping blocks. Shop in your jammies, naked or anytime you want! The shop is always open! Convenience is always the best option! I hope you enjoyed today’s tutorial and I hope it inspired you to give it a try!